This is 15.16 acres of AS zoned space that borders the Greenline in Chico, CA. The property has been used as an Almond Huller/Sheller operation for the past 40 years. There is over 70,000 square feet of buildings that includes an Administrative building and several shops that comprise 29,920sf, as well as a hull barn that comprises 42,000sf. The site is on city water, possess excellent power supplied by PG&E, and utilized a dry-process in its almond operations, resulting in the most environmentally friendly operations possible. 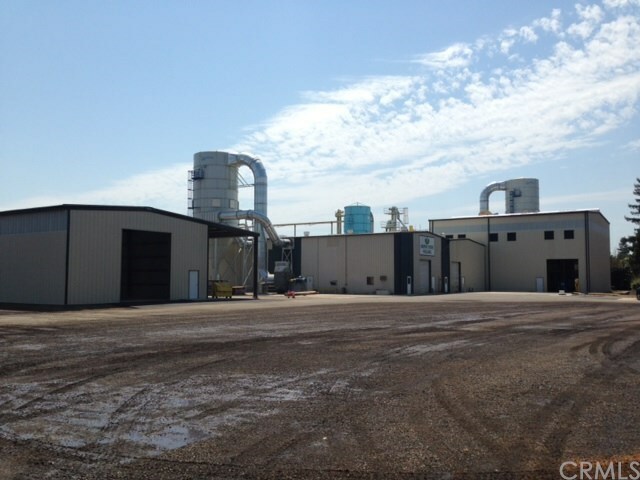 The property is being marketed as a non-operable almond huller/sheller, as the sellers are removing the pre-cleaner and the three bag-houses w/ motors and equipment. All other machinery onsite is negotiable, but the seller intends to liquidate and/or utilize all machinery onsite, that includes but is not limited to aspirators, ducting, augers, scales, etc. This is a clean slate for this amazing 15 acre property that has been occupied for over 40 years directly adjacent to Chico's "college town." This property presents endless opportunities for commercial and agricultural services development.